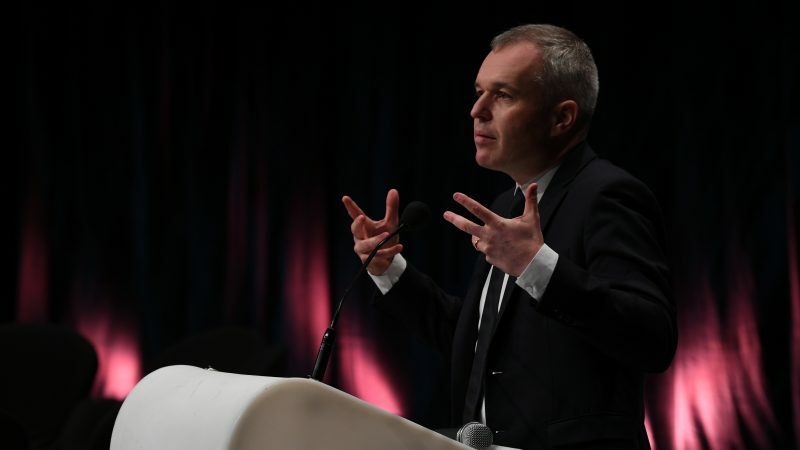 François de Rugy, the French Minister for the Ecological and Inclusive Transition, put ecological taxation back on the table at the inaugural session of the European energy transition conferences taking place in Dunkirk on 22-24 January. 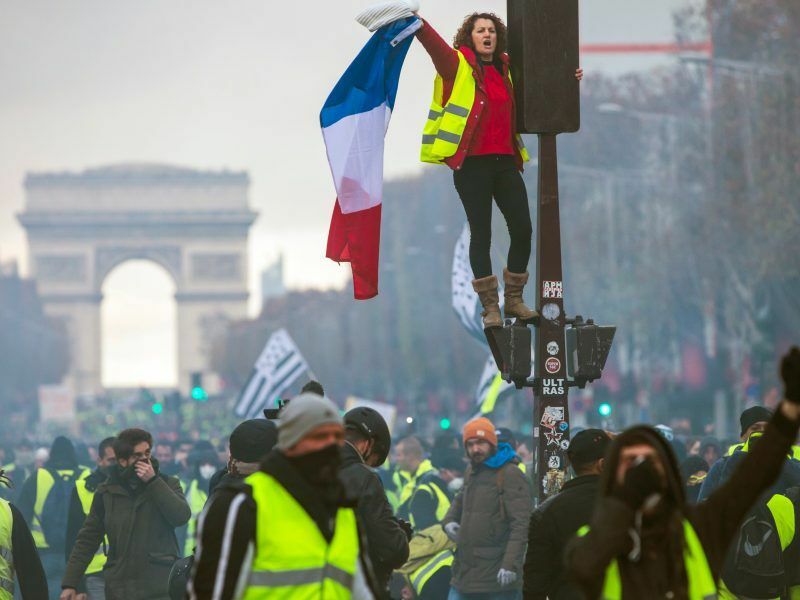 De Rugy raised the matter of the French carbon tax, which was put on hold in late 2018 in an attempt to stem the ‘yellow vest’ movement. Adopted in 2013, the Contribution Climat-Énergie – or carbon tax – sets a price per tonne of CO2 emitted, which increases year on year. 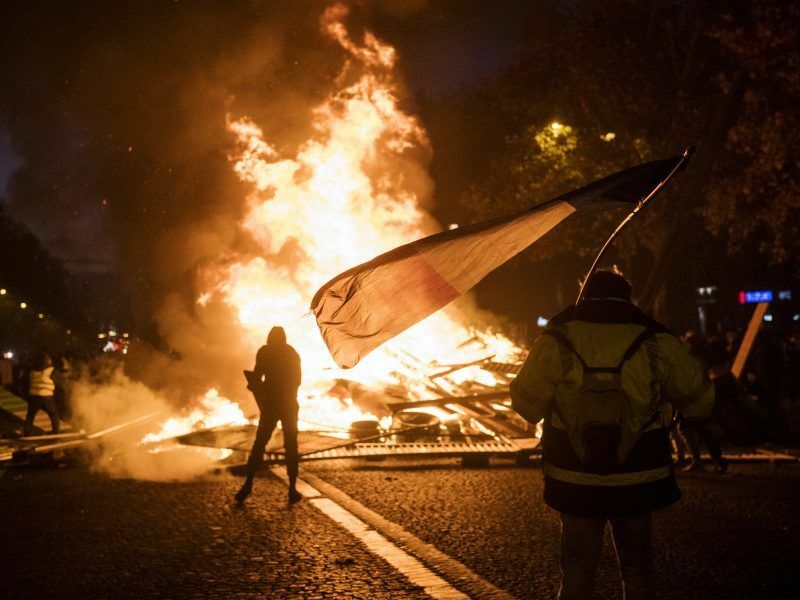 Because it raised the cost of fuel, the carbon tax was the starting point of the ‘yellow vest’ protests, which later morphed into a broader movement against taxation and government policies. But while the planned rise in the carbon tax rate was put on hold for 2019, the principle continues to be a priority for the French government, de Rugy said during his visit to Dunkirk. “When it comes to implementing climate policy, there is a consensus. We’re not a country where climate sceptics thrive,” the minister said. The carbon tax remains “one of the most important and effective levers” for mitigating climate change, de Rugy stressed. This is why the pause on increasing the tax conceded by the government should not continue indefinitely, he argued. “Yes, we took a pause in light of the ‘yellow vest’ demonstrations,” the minister admitted. But the rate of change is what’s up for discussion, not the principle of the tax, he stressed. 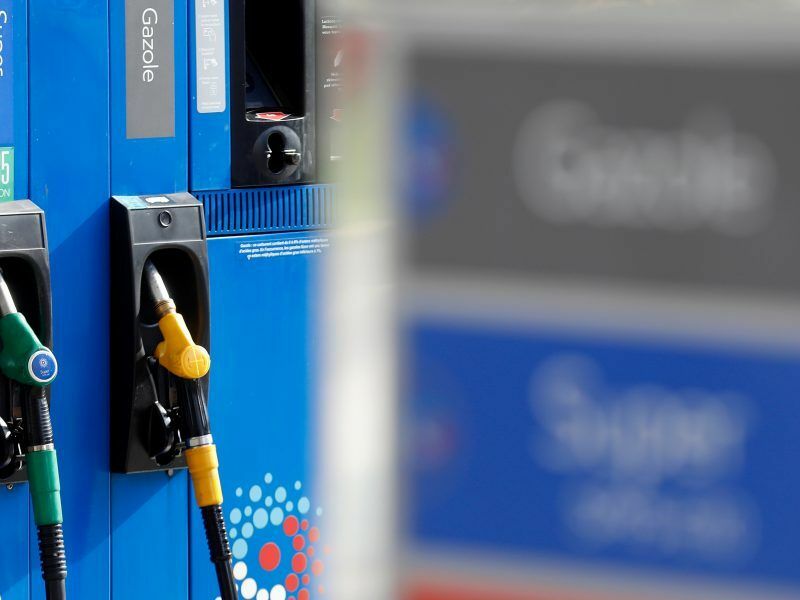 The rise in the carbon tax pushed up the price of petrol by 3 cents per litre in 2018. A slower increase of around 1 or 2 cents could be envisioned in the future, the minister said. The issue will be raised again as part of the “Great National Debate” launched by the French government on 15 January. “The question of the rise in carbon tax will be raised at the #GreatDebate. We have to provide French people with answers on the level, rhythm and application of the formula for the #EcologicalTransition. I propose that local representatives discuss the implications for territories,” de Rugy tweeted. “But the debate on the ecological transition mustn’t take place as if it was yet another budget debate,” warned Arnaud Leroy, president of the French Environment and Energy Management Agency (ADEME). Beyond the tax’s rate of increase, a pressing question for the government is how funds generated by the tax will be allocated in the future. Only a part of the funds is currently dedicated to the energy transition, an issue which has to be reviewed as a matter of priority, according to local elected representatives. Currently, only a portion of the revenue from the carbon tax is allocated to the energy transition. This includes support for converting vehicles, which mobilised €600 million last year. But the numbers do not add up, and a significant amount of the €9 billion in revenue generated by the tax, in fact, goes to the general budget of the state. “People are willing to pay dedicated taxes,” said Pierre-Jean Crastes, deputy chair of regional cooperation assembly of Grand Genève, a cross-border agglomeration between France and Switzerland. “They agree, on the condition that there is no suspicion that part of the tax is used to pay for something other than the ecological transition, for example for property tax exemptions,” he explained. Transparency in how the revenue from the tax is allocated is a central pillar of how acceptable this green taxation is, believed Chantal Jouanno, chair of the French national committee for public debate (CNDP). “It’s about the first necessary element, trust, because it is clear that this carbon tax is not predominantly used to fund the energy transition,” the former French state secretary for ecology said. Following a major debate on the multi-annual energy programme (PPE) in 2018, the other sticking point highlighted by the CNDP was the sense of tax injustice felt by the citizens with respect to ecological taxation. “The energy transition is regarded as a social injustice. Particularly fuel taxation, which targets rural and semi-rural people,” Jouanno explained. “In its conclusions in June, the public debate already indicated the risk of a revolt over taxation,” she added. Another tax matter criticised by citizens, who were consulted for the major debate on the PPE, was the low taxation of “big polluters” compared to citizens. Indeed, the French carbon tax provides for a string of exceptions, ranging from agriculture to aviation and maritime transport. Moreover, this covers the most polluting industries, which are already taxed under the European carbon market, where the price for CO2 is much lower. The minister said he was ready to consider including certain sectors within the scope of French tax, while bearing in mind industries’ need to be competitive. Taxing businesses in France could drive them to relocate in low-tax countries like China where production will generate much greater CO2 emissions, warned de Rugy, citing the example of the steel industry. For local elected representatives, the French government’s intentions regarding the carbon tax raises questions. “Part of the ecological taxation has to be allocated to local projects,” insisted Anne Walryck, president of the Bordeaux Métropole area. “But I have felt an openness to taxes being allocated [to the ecological transition],” she added.